Kiwi Ashley Revell has worked as Music Editor on his brother and composer Graeme Revell’s film scores for the majority of their careers. While Graeme rarely does interviews these days, Ashley agreed to an exclusive retrospective interview with MoTR after meeting with us at Auckland airport. Graeme Revell's right hand man was happy to reminisce on the production of the now 15-year-old score to 2001’s Lara Croft: Tomb Raider, completed in a space of only 10 days after the Revell bros. were attached to the project at a very late stage. Ashley now lives in Los Angeles with his wife. 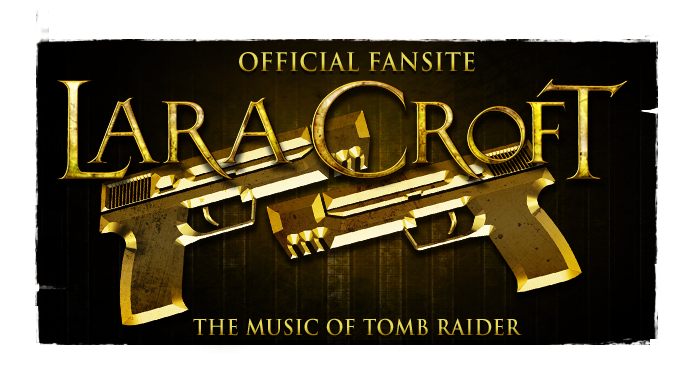 The Lara Croft: Tomb Raider - Original Motion Picture Score by Graeme Revell, featured in our commercial Tomb Raider discography, is still available from all good music retailers. Close to 24 minutes of the complete score, which MoTR had the privilege of experiencing for this reflection, remains unreleased. Read the full interview with Ashley Revell after the jump below. Music of Tomb Raider: Ashley, you and Graeme grew up together in Auckland, New Zealand – am I correct in assuming you both always had a keen ear for music? Please let us know a little of your background together. Ashley Revell: Our mother was a classically trained piano and singing teacher so there was always an orchestra or an opera playing on a radio or the HiFi somewhere in the house. As soon as each of us was old enough to press the keys properly on the piano, Graeme and I started learning music. Graeme was always a lot more interested in actually playing music than I was, I just liked to listen more than anything else. MoTR: Are you trained in playing any instrument(s) or were you always more interested in the production of music? Have you tried any music composition yourself? AR: I started playing the piano and moved on to the flute when I was younger. I haven’t picked my flute up in a very long time. Like I said earlier, playing never really interested me that much. I always much preferred recording and mixing. I’ve never really tried composing either, its just not something I want to do. MoTR: And when was the big break into the Hollywood film scoring scene? Were you always planning on working with Graeme or did everything progress naturally as it happened? AR: Graeme won an Australian AFI award for the score of Dead Calm. It was an incredibly innovative score and the film did quite well at the box office. He was immediately in demand for other projects and did several films before I came on board. At that point I had been working in the Australian TV industry for a number of years as an Audio and Communications engineer and needed a change. Graeme had moved to the USA and alerted me to the opportunities available over here. With my music and recording background, music editing seemed like a no-brainer. MoTR: If Graeme was called about a job, were you automatically a part of the package (or vice versa)? Were there ups and downs to the brotherly duo? How often have you done an editing gig without music by Graeme? AR: I wasn’t necessarily part of the package but producers tend to go with an editor who already has a working relationship with the composer. So long as they are able to do the job, of course. Graeme and I had worked together on a number of projects in the past, totally unrelated to film. We work very well together. I have edited a few films and many, many, many TV shows with other composers. MoTR: Please let our readers know who your favourite artists or composers are? What was the last film soundtrack you listened to? What artists or performers consistently influence you? AR: That’s always a tough question for someone like me. I hear something I like (usually on an eclectic radio station in my car), I buy most of what the artists have written, listen to them for a couple of weeks and move on. I rarely go back. Here’s what I’ve got at the top of my iTunes list this week. Alt-J, Josh One, Fat Freddy’s Drop, Pablo Nouvelle, Kendrick Lamar, Brika, Donna Missal. MoTR: Was Lara Croft: Tomb Raider an exciting or intimidating project? With only 10 days to complete, has any other job since been as tight? Do you have any fonder memories associated? AR: It was both exciting and a massive challenge. 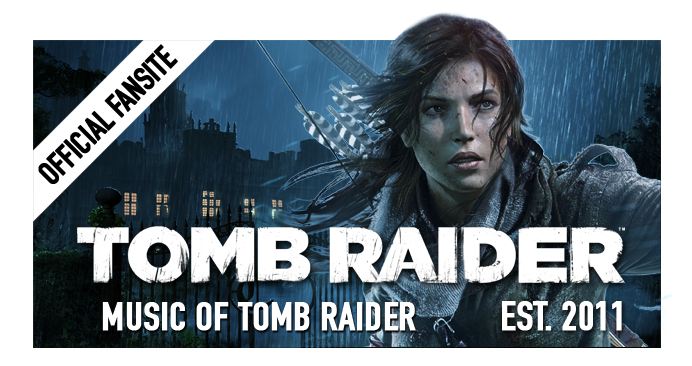 We have had some other films that required a quick turn around but the sheer scale of the Tomb Raider project probably made it the tightest. The project demanded a full orchestral score, so 10 days to write, record and mix that many minutes of score is unbelieveably demanding. Our team who were involved in making that happen were incredible. There is quite a story to how we achieved it in so short a time. Normally events happen in a fairly linear fashion. The composer gets to write the score and orchestrate or send it to his orchestrators to complete the instrument parts and hand them off to the copyist who prints and compiles everything. An orchestra contactor is engaged to assemble an orchestra of appropriate size and composition and book a suitable recording facility. All of which usually takes a few weeks. The orchestra is recorded over a day or two and when the score has been recorded, the music mixer steps in for a few days and mixes the recorded orchestra with any other electronic score components and hands off the mixed music stems to the music editor. The music editor takes this to the dub stage and the music is mixed with the dialog and sound effects to create a complete movie sound track usually over another 2 weeks. The difference with Lara Croft: Tomb Raider is that most of this happened simultaneously. As soon as Graeme got the gig, he immediately started writing demos for the theme and major cues, mapping out the exotic sounds for the score over 3 or 4 days. He probably didn’t sleep during that time. We had a couple of meetings with the director and producers to play them the demos and they loved what they heard, so it was full steam ahead to get the score recorded and mixed. At that time, there were still a lot more movies using real orchestras for their scores, so booking scoring stages and assembling musicians in a hurry wasn’t the easiest of tasks. I don’t think we could find anything locally so the next best choice was London. Sony Music Studios was available and the Orchestra Contractor in London assembled a crack team of musicians and orchestrators and our scoring engineer and I jumped on a plane and headed over there. Graeme figured there was no way he could get the rest of the score written if he came too, so he thought it best to stay in his studio where he was comfortable and could get the most work done. We had worked out a plan and it was a pretty good one. Graeme would continue writing and send the MIDI files of his sample mock-ups to the orchestrators in London – I think we had six orchestrators in total – they were working day and night in the back rooms of the studio. Meanwhile we would record the orchestra in two sessions each day, in the afternoon and evening. We would record the multi-tracks directly to Pro Tools and then send all the data overnight to Capitol Studios in Los Angeles, a hard drive would be dispatched to Graeme’s studio where our mix engineer, would mix the orchestra with all the other wonderful electronic tracks Graeme had come up with and create the music stems for the Dub stage. Now you have to remember this was early 2001 – you would be amazed how relatively primitive the internet and digital technology was then. We used banks of 18 Gig SCSI hard drives to record with Pro Tools. Very few studios had Pro Tools sytems big enough to record an orchestra - it was still mostly done on analog or digital tape. Each day’s recording gave us 8 – 10 Gbytes of files. There was only one place in the whole of London at that time that ran 24 hours and could reliably send that much data overnight to Los Angeles. It seems like a small amount by todays standards but it took all night to send it all. Similarly there were very few places in LA that could receive that much data. Fortunately Capitol Studios was one of them. I can’t say with any certainty that we were the first to do this internationally but it would be pretty close. MoTR: How involved were you with the sound production or making of the score? Time constraints aside, what sound did you and Graeme aim to bring to the Tomb Raider universe? Instrumentation appears to be influenced environmentally - do you know if that was intentional from the get-go? AR: Well of course, we are talking Lara Croft: Tomb Raider here. Its all about adventure in exotic locations, far off lands, fantastic ancient machines, mythalogical creatures, illuminati villains and our super hero Lara. It was important for the score to have many different ethnic flavors in rythym and melody, the score needed to portray wonder, mystery and danger but at the same time fit with the contemporary technology and songs present in the film and soundtrack. Also Graeme couldn’t lose sight of the fact that innovative as he can be, his score could not stray too far from what the audience expects of a blockbuster epic movie. From my point of view on the scoring stage in London, the first couple of cues we recorded were a very interesting experience. At the first run through of the first cue, it was clear that something was wrong. This was not the “sound” that we were looking for. After quickly eliminating the possibility of technical problems in the studio, we realized it was the orchestrations. I hasten to state that the guys had done an outstanding job getting paper on to the music stands, its just they had been working virtually in the dark. They had not seen any of the movie, had heard very little of what Graeme had been working on and had produced orchestrations that, in any other movie soundtrack, would have been great. Fortunately with musicians of this calibre it always seems to be an easy fix. I had fun making a few recommendations for adjustments myself and with some feedback from Graeme we managed to dial in the sound very quickly. Even though I had worked on many prior orchestra sessions, it was fascinating for me hear the changes that could be made to the “sound and feel” of each piece with just a few instrumentation and note changes. MoTR: Much of the recording process was handled via distance - did you guys have to rely on and edit in much software instrumentation or sample libraries to supplement? 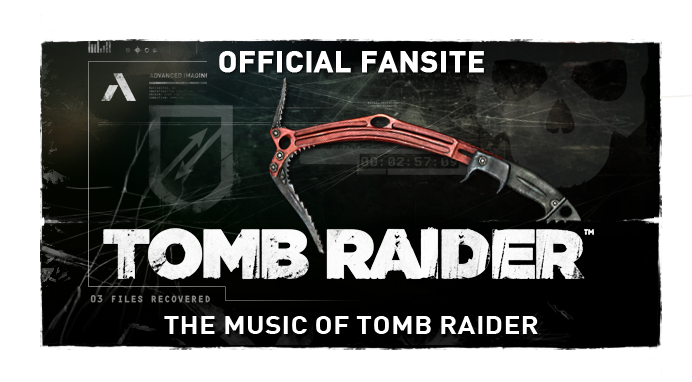 Fans have picked up bits and pieces of the Tomb Raider score since recycled in television and video game soundtracks. AR: This was a couple of years before Skype but Graeme was only a phone call away and because we were getting the orchestra back to him so quickly, communication wasn’t a problem. With regards to samples, yes, there was a tremendous electronic component to the score that was being added to the strings, brass and choir that we were producing in London. You can be sure that we were using the very latest sample libraries available at the time as well as creating new sounds. MoTR: Did you have much to do with the editing of the Charlie’s Angels-esque musical soundtrack (comprised of tracks from various artists) that accompanied the film? Did Graeme write additional pieces for any scenes that the director ended up replacing with a different artist’s track? AR: No, fellow music editor, Dan Di Prima was working closely with the music supervisors on that side of things. All of that was well locked in by the time I got back to LA for the final dub. As usual there were a couple of cues that Graeme wrote just to cover song spots. I can’t remember exactly which ones. It’s a very common practise – a director will often ask the composer to write a cue for a song spot just in case the song doesn’t clear. I don’t envy the task of music supervisors in clearing the music of major artists for film. It can be a daunting task and so often comes down to the wire – time wise. MoTR: Michael Kamen had left the project when you and Graeme stepped in. Was anything from Kamen’s original soundtrack retained in the final film? AR: From memory, I don’t think we used anything of Michael’s. Graeme was tasked with writing a complete original score. MoTR: Graeme was never contacted about the sequel to the best of your knowledge? AR: Not to my knowledge. MoTR: Had either you or Graeme touched the Tomb Raider video games before this job or heard their soundtracks? AR: I don’t think so, no. We were certainly aware of them, of course, but neither of us are avid video game players. 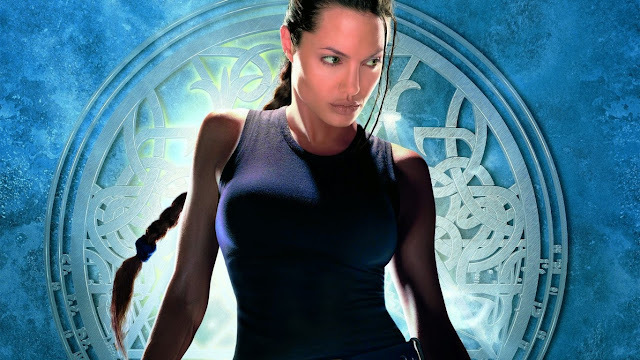 MoTR: It’s the 20th anniversary of the franchise this year and MGM & GK Films are putting together a new Tomb Raider film (in fact actress Alicia Vikander has just been cast as Lara Croft). This news couldn’t entice or wouldn’t interest you guys in returning to the film music scene? AR: So long as I could make it fit in with my TV show schedule, absolutely! I’m sure Graeme would be interested. Despite the time crunch, we enjoyed the first one immensely, the support from the producers was fantastic and I personally think the score was superb. Alicia Vikander is a great choice, I loved her in The Man From U.N.C.L.E. MoTR: Thank you very much for your all of your time Ashley! We wish you and Graeme all the best and really appreciate the little bit of reflection on this project.